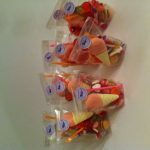 Our Sweet Cones make great party gifts for your child’s friend to take away. 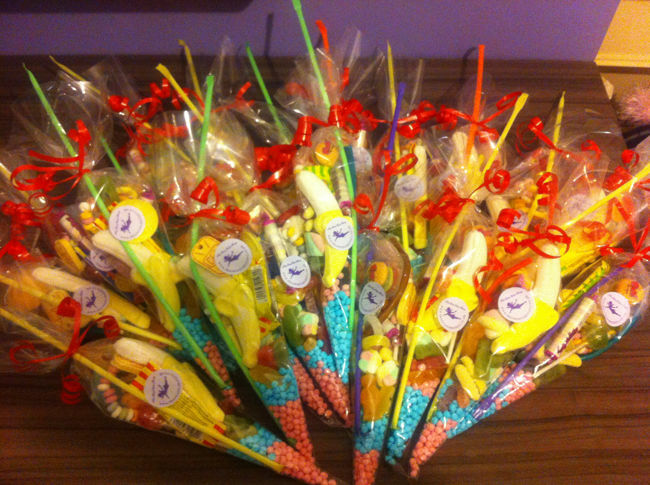 Each sweet cone or is filled with lots of sweet treats. 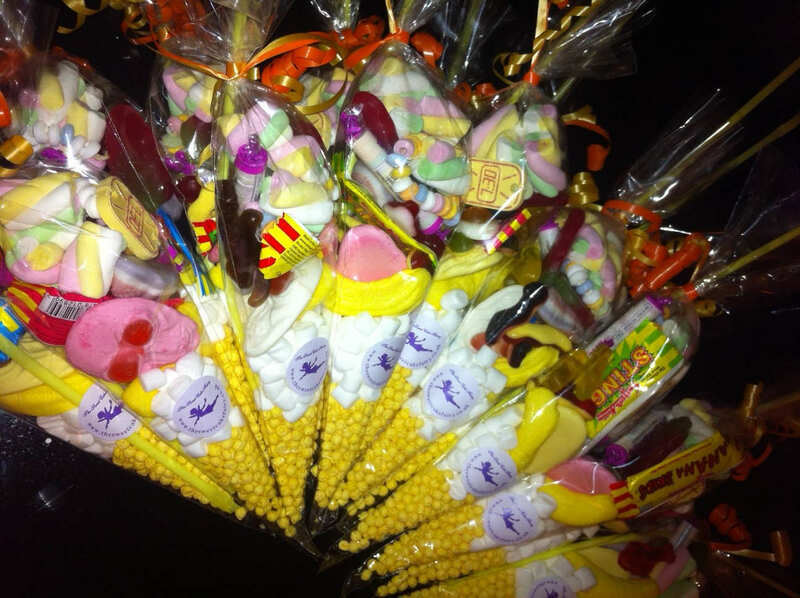 We fill our party sweet cones or bags with a mixture of sweets that will vary from time to time. 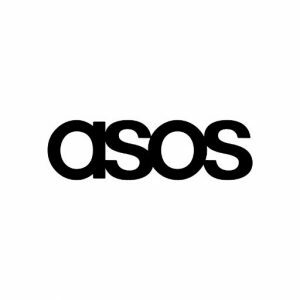 We have a large stock in our shop, so if there is something you would prefer then do please let us know. We put a selection of the following sweets in each cones. Oh my I could carry on and on ! 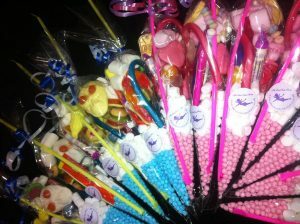 The sweet cones come with a ribbon from pink, blue or red for unisex. A sweet bag has a sticker on the front. 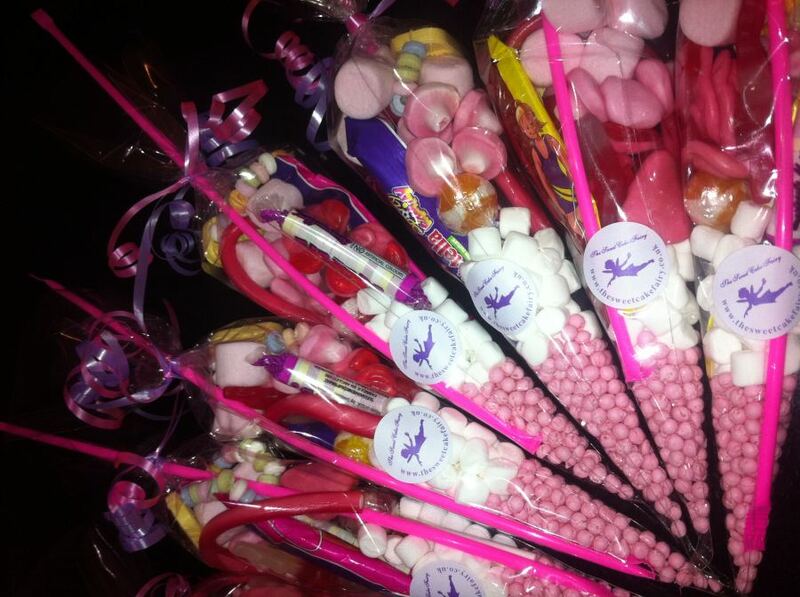 If you wish to personalise you may add a sticker to say thanks for coming to my party ! 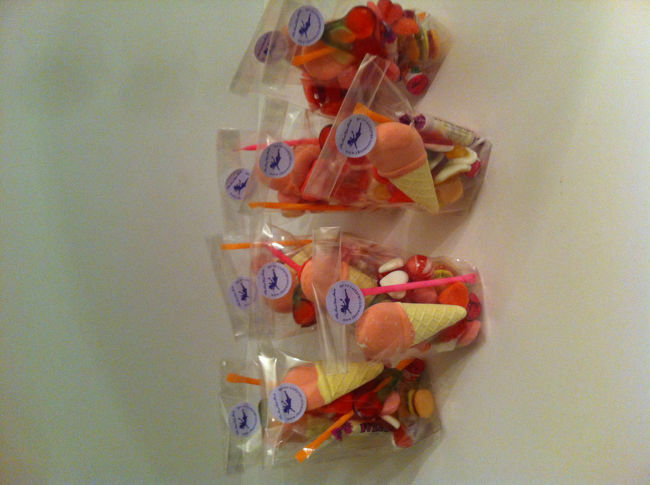 Cones and bags at £1.00 each, stickers are 25p per cone / bag. 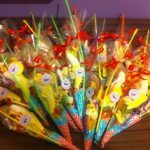 When your child goes to a party, they receive the party cone at the end.